12:34 am–Ailish, Dora, & I. 3:42 am–Ailish, Adam, and I. Note that beer was required for successful game completion. 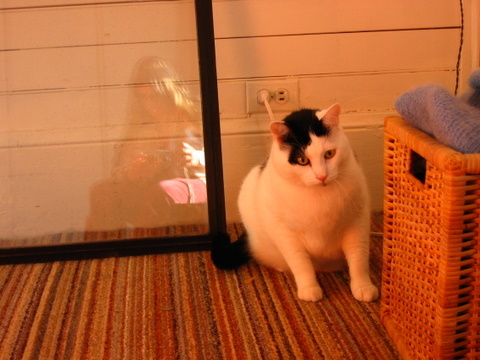 6:30 pm–Adam & I. I think he is gesturing at “fetch,” a word of which he was rather proud. 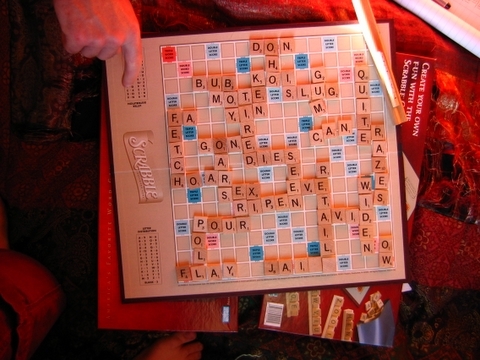 It was a little odd playing Scrabble in the daytime, though. Note the blinding shafts of sunlight across the board. 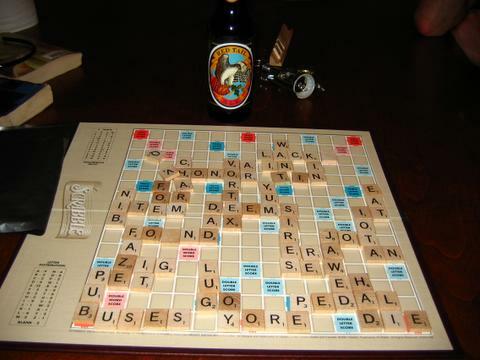 Due to excessive Scrabble and beer consumption earlier in the day, this game took a long time to finish. Afterwards we played with Loki for awhile. Here comes the bonus feature! 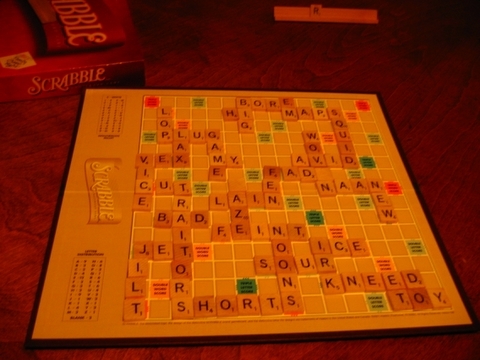 Let this be your warning, gentle readers–Scrabble, like alcoholism, can be dangerous.